1.What is a Freight Forwarder? If you have any big, bulky items or large volumes of packages that you need to organise deliveries for, you may well have looked into using freight forwarding companies to assist you with this. Freight forwarders typically organise shipments for individuals or companies, using a third-party carrier to get your goods to where they need to go. They can be a very efficient way of getting freight from A to B, as they already have long-standing relationships with carriers and can handle all the negotiation and paperwork involved in transportation for you. They also offer the benefit of being able to consolidate several goods from various different consigners, so if your goods only add up to a part load, they can be grouped with others to send off in a full shipment. This process is known as groupage and could not only save you money, but also makes the shipment more efficient and reduces its environmental impact. 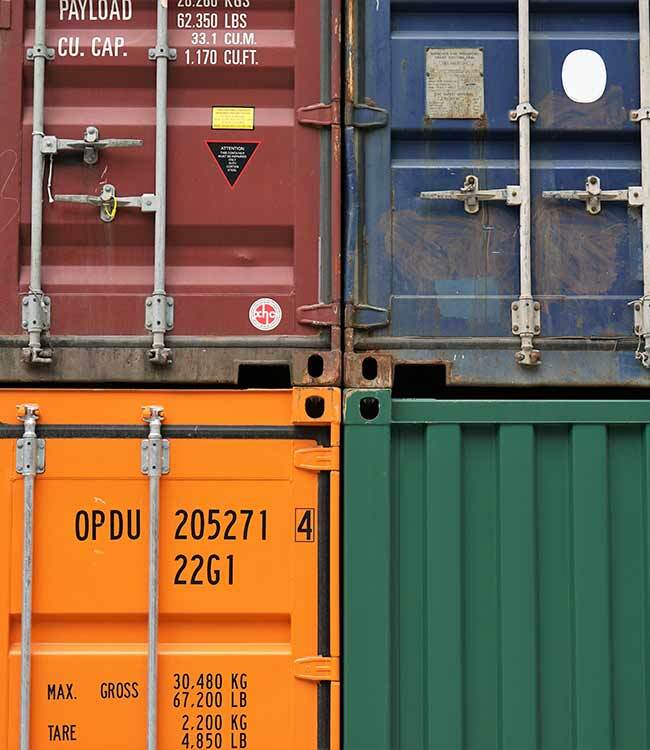 Some freight forwarding companies even offer extra services such as export packing. If you are interested in any extras on top of the shipping, then it’s best to contact several companies to get an overview of the prices and services on offer. Then make a shortlist of those which best meet your requirements, comparing the pros and cons of each. Keep in mind that not all companies will offer the same range or levels of service, so you may have to compromise on some aspects of your shipment. In many countries, freight forwarding firms are required to hold a licence issued by the government or the relevant border services agency. No such licensing regulation applies in the UK, though many companies are members of the British International Freight Association. If you’re unfamiliar with the industry and are looking for reassurance on the quality of service that will be delivered, check for membership of any professional associations such as this one. While it’s not a guarantee of top quality service, it does serve as a useful indicator that certain standards will be expected to be upheld. Using a forwarding agent can be especially useful for small businesses that need to organise multiple bulk deliveries from suppliers to the point of sale, or from their own warehouses direct to the customer. The next section of this article will provide some tips on how best to manage your logistics chain through a freight forwarding company. Many small business owners may have limited experience when it comes to organising transport and logistics, so out-sourcing the job to professionals can often be the most efficient way of ensuring that this vital aspect of business goes smoothly. However, it is still important to familiarise yourself with the process to keep an overview of how your logistics chain works. This will be invaluable if and when you choose either to switch over to another freight forwarder or deal with logistics internally. There are also some parts of the transportation process that freight forwarding firms will expect you to do yourself, depending on the extent of the services on offer and your particular contract with them. The first thing to bear in mind is that although freight forwarders will offer insurance for your goods during transit, you need to keep an accurate inventory of all your shipments, including details such as the number of items included and the state they’re in. Keeping accurate records, including pictures, of the quality of your goods will help you to put in an insurance claim in the unlikely event that any damage occurs during shipping. You will also need to know the weights and dimensions of your loads, as, without this information, the company will be unable to plan transportation accurately, which could lead to an inefficient supply chain for your business, which will inevitably also increase your costs. If your forwarding agent does not include packaging as part of the service, this is another thing you will have to undertake or oversee yourself. Getting the packaging or wrapping right further increases the efficiency of your loads, as well as playing a vital role in protecting them from damage during transit. It is generally recommended to build in a labelling process at the packaging and wrapping stage. This may be something that your forwarder can do for you, but you will probably want to work with them very closely to ensure that the labelling and tracking process of your logistics chain integrates well with your current stock inventory systems. If you run a fairly small business or are just starting out, for example as an eBay seller, this may seem like a rather daunting task. Suddenly, what started out as a simple business model of buying and selling things leads to scary discussions about transport and logistics and supply chain management. If your business is small and you only have low volumes of goods to transport, then you may well find that using a freight forwarding company is not the right solution for you. Don’t panic, though, as this needn’t mean that you are left to negotiate transportation contracts directly with large shipping companies or have to spend hours trawling through yellow pages to find smaller providers to cover different areas of the market. Shiply offers a practical alternative to using large-scale freight forwarders or phoning around for the best deals yourself, as it allows you to manage all your deliveries and get quotes online. Not only does this save you time, but also gives you the flexibility required when trying to grow an emerging business. For example, if you sell bulky items on eBay, your customers are likely to be scattered all over the place. Instead of having to rely on one transport company, who may well charge you extra for unusual routes, you can list your items on Shiply and get quotes back from transport providers who already have similar journeys planned. This ensures that you always get the best price for your deliveries without spending a lot of time contacting various different companies for quotes. All the transport providers on Shiply are feedback-rated, allowing you to compare providers based on the experience of previous users as well as cost. This not only gives you peace of mind, but can make your delivery system more appealing to your customers, too.